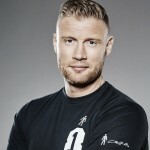 Freddie Flintoff joins Louie Spence & Kelly Brook as Fibit ambassadors and are battling it out in the ultimate dance off video for Red Nose Day, as part of Fitbit’s Step Up, Get Down campaign. 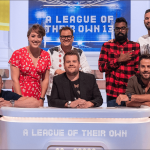 Backed by their respective dance troupes, the trio busted out their best moves as they kicked off Fitbit’s mission to raise £150,000 for Comic Relief. The Step Up, Get Down dance challenge sees Fitbit calling for the UK public to submit their own dance off videos to Facebook, Instagram or Twitter. For every dance video uploaded, Fitbit will donate £15 to Red Nose Day.